We are highly engaged for offering an exclusive assortment of Custom Notepad in the nation with the support of talented professionals at very affordable rates. Over the years, we are widely acclaimed and appreciated across different domestic market by offering a qualitative array of Custom Notepad. U can print your name on the board of the diary or can make your print on the paper. Any paper u pick u will able to see complete calendar even after removing last page your product name or calendar will remain till last page. 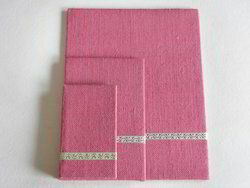 These diaries are available in three sizes, small, medium and big. Black Notepad & Pen Holder. Includes notepad & two pen. Option of customizing the Stand with multicolor picture insert of your company\'s logo, branding, slogans, taglines, marketing messages, advertising or promotional materials on the front. 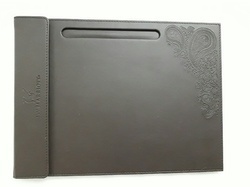 Introducing a compact new, eco-friendly Note Pad with a personalised cover! It also includes a ball pen and colour-coded sticky notes.